James Franco has played a good number of gay roles, most recently in the movies Milk and Howl—where he portrayed Harvey Milk’s longtime boyfriend Scott Smith and poet Allen Ginsberg, respectively. As a result, he’s faced a lot of questions about his own sexual orientation. The actor, who told The Advocate last summer that he is straight, is now raising eyebrows by suggesting otherwise in an interview with Entertainment Weekly. Film star Jim Carrey has spoken out about his portrayal of a gay man in the film I Love Phillip Morris, stating he did not hesitate to take on the role. The film makes its long-awaited release this weekend in US cinemas, having previously found success at the Sundance Film Festival in 2009 and in European and UK cinemas, and it is being tipped for success at the Oscars. Carrey plays Steven Russell a gay con man, who falls in love with Phillip Morris played by Ewan McGregor, when in jail. After Morris is released, Russell plots his own escape in a series of desperate attempts to live together freely. PinkPaper.com reported earlier this year that the comedy-drama had its American release date postponed by a US court after a row erupted between producers and distributors. Sacha Baron Cohen will play Freddie Mercury in an upcoming biopic. 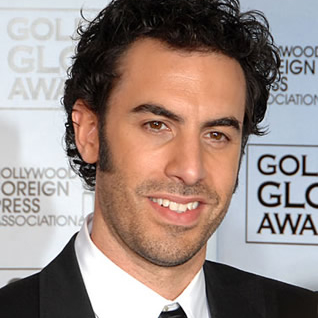 British comedian Sacha is best known as the man behind spoof comedy characters such as Borat, Bruno and Ali G, which have all been made into hit films. It has now been revealed the actor will now take on the role of Queen frontman Freddie Mercury in a new biopic about the much-loved rock star, who died of AIDS in 1991. The movie has the support of Freddie’s former bandmates Brian May, John Deacon and Roger Taylor, and will be made by GK Films with the screenplay written by Peter Morgan. “Freddie Mercury was an awe-inspiring performer, so with Sacha in the starring role coupled with Peter [Morgan]’s screenplay and the support of Queen, we have the perfect combination to tell the real story behind their success,” GK Film’s Graham King said. The drama does not yet have a title, and will focus on the period leading up to Queen’s iconic show at 1985’s Live Aid charity concert which raised money for famine victims in Africa. Robert De Niro, Jane Rosenthal’s Tribeca Productions, and Queen Films are also said to be getting involved in the making of the movie. Rights to Queen’s famous anthems such as Bohemian Rhapsody, We Will Rock You, Another One Bites the Dust and We Are the Champions have all been secured for the film. A gay man, James, is looking for love where there is little to be found. He has fantasies about a boy he knew in school. The crush he felt for this tall, long haired blond drummer in the high school band was compounded by the way this boy “Al” would look at him with those bright blue eyes during band rehersals. He fills his day dreams with such non-sense but always wakes up to find himself working away in a psychiatric hospital where he is an orderly. His dreams come true one day when Al pays him a visit. The shy but friendly boy next door type approaches him with overt talk about being curious and wanting to find out if he is gay or not. Our hero gladly accepts the role of teacher and begins an affair with the handsome man of his dreams. A few days later Al asks James to help him find some recreational substance. James agrees – anything for the boy. Later still Al asks him to help his friend get some, too. Anything for the boy. And again later he asks to get an even larger supply. Anything for the boy. At this point things go horribly wrong. James is at the designated meeting place for the exchange when he is quickly surrounded by gun slinging Narcotics agents and police who do the obligatory man-handling and ruffing up of the unsuspecting James. Fast forward 6 months later. James’ parents mortgage their home to buy the best defense for their gentle son. The lawyers work out a deal for probation with the District Attorney. Sentencing doesn’t go as planned. Judge Bison (known as the “Hanging Judge” to his friends) declares the plea bargain invalid. He wants to make an example of this scourge of the community. He sentences James to 4 to 10 years hard labor in a notorious state prison. James is dragged away in irons right before his grieving parents eyes. The first few weeks he is held in a 12×12 cell with 7 other inmates. He is then taken to the mother of all southern prisons. James is shackled along with 11 other inmates for transfer in an aging prison system bus to the prison system intake facility in an isolated area surrounded by swamps. Upon entering the enormous dungeon like prison he, along with more than a hundred other new inmates, is stripped, has his head roughly shaved, hosed down with less than tepid water and sprayed with a cocktail of de-lousing agents. Next he is given clothing consisting of boxer shorts, t-shirt, tube socks, a pair of brogan boots and a uni-size white jumpsuit emblazed with broad stripes down each side and “STATE PRISONER” on the back. The entire group is shuffled hurriedly to a dormitory housing 200 bunk-beds already half-filled. The usual cat-calls and whistles go up as the fresh meat is delivered to the hungry wolf pack. Luckily, James had made friends with a couple of inmates who shared his cell in the county jail before the transfer. He at least had some familiar faces around. The fear among the young inmates was apparent. The old timers who were re-entering the system seemed right at home. An aerial view of the prison reveals a sprawling campus of identical wings all housing several 200 bed dormitories. The scene plays out as you would expect. Rapes, beatings, and stabbings are common. James is luckier than some. He and his “friends” chose bunks near each other. They go to meals together, take yard call together and are quickly becoming like brothers. James manages to land an office job in the occupational assessment dept. His job is to give aptitude tests to new inmates for their placement in one of the many prisons and prison farms in the system. He meets so many pathetic young men who are being victimized not only by the system that incarcerates them but by the animals who populate the prisons. There is nothing he can do to help them. His feeling of helplessness is almost overwhelming and he longs for his freedom. Years go by slowly. After 3 years of imprisonment he is granted conditional release and probation for the remainder of his sentence. He is first taken to a “half-way house” for re-assimilation into society. This was what James had been waiting for but he had no way of knowing what lay in front of him. James arrives at the half-way house. It’s an old hotel that was in decay but is being renovated by the released inmates. The lobby is an art deco masterpiece. The rest of the hotel is in differing stages of repair. The feeling of doom he felt is receeding. There are no guards present, only counselors. The residents are coming and going freely and checking out at the front desk to go to their jobs. The new residents like James are told to wait in the lobby for “The Doctor” to arrive. He leans against one of the marble columns still dressed in his freshly pressed and starched prison uniform he had worn for the past 3 years. He felt self-conscious about his clothing because everyone except the new arrivals are wearing civilian clothes. As he waits he notices more vans arriving with other newbies. They file in through the double glass doors one by one. There is one who catches his eye. A man with dark brown hair and brooding eyes looking stoic. His physique was evident through the snug fitting uniform with the short sleeves rolled up in a cuff. The man glances over at James and they exchange glances before looking away. “The Doctor” arrives mid morning. It wasn’t what James expected. The Doctor was in fact not an MD but a PhD and he was the director of the facility. He was a tall black man with an imposing presence and his last name also happened to be Doctor – Dr. Doctor – hence, “The Doctor”. A meeting room was where the indoctrination was held. All the newbies were assigned rooms, duties in the house, counseling schedules, employment interviews and access to civilian clothing for those who had none. James’ family was to arrive that afternoon with his civies. He was assigned to a semi-private room on the 5th floor with a friendly enough fellow. He was assigned to KP or kitchen duty for the first week. He had to be on duty at 4am to begin breakfast and prepare sack lunches for the men to take to work. The next morning at 4am he walked through the swinging doors of the kitchen. There stood the man he had exchanged glances with in the lobby the day before dressed in a black tie-dye t-shirt and jeans with a white apron and hairnet on. His biceps were ferocious. James looked to the floor so this man would not see the desire in his eyes. As the work progressed words were exchanged about personal data, history, how they came to be where they are today, etc. During breakfast service Anthony, the handsome stranger, and James stood side by side filling plates and then cleaning up afterward. Laughter and pats on the back were flowing freely. Then, as they washed dishes together it happened. Anthony noticed James gazing at him in a particular way. Anthony asked James if he would like to go to the garden and have a smoke. When they were outside, alone, Anthony grabbed James by the shoulders and kissed him gently. Of all the places James’ might have expected to find true romance, the garden of a hotel/half-way house under renovation was not one of them. The days go by swiftly. Eventually the two managed to be partnered in the same room. They went on job interviews at the same businesses in hopes of landing jobs together. A lead foundry full of burly men was hiring and did hire both of our heroes to work as apprentices driving forklifts to start and working up to blast furnace helpers. Six months later, Anthony is released from the half-way house. He had found an apartment nearby and promised to wait for James. Two weeks later James was released and joined Anthony. They were never alone again. Love and happiness had come to James after a long journey through darkness full of betrayal, inhumanity and grief. Radiohead’s “Everything In It’s Right Place” plays as the credits role. I had several ideas for the ending but I liked this one the best. Too often Gay men are portrayed as social deviants or pedophiles or misfits of some kind. The message is always the same. I would like to see some mainstream movies that cast Gay men in a positive role with the same hopes and dreams as everyone else. That is who we really are. The protagonist in this story is just a typical guy who does typical things as he works his way through difficult situations. Just as we do in real life. I had a few other ideas with more flare but since I try to make this blog family friendly I’ll leave those out of the mix – lol. 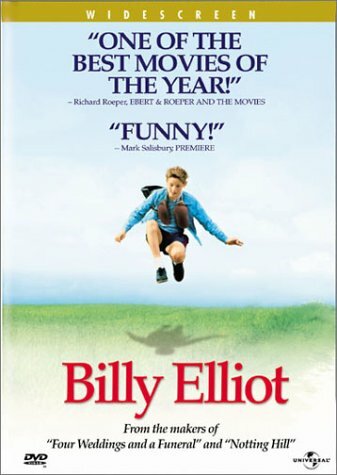 We watched the movie “Billy Elliot” today. It set my mind thinking about my own life. Billy a son of a blue-collar mine worker. He was different from the other kids in his town. He dreamed of becoming a ballet dancer not a mine worker. His rough and tumble father and older brother cringed at the thought he had this dream. His passion for dance lifted him out of the vicious cycle the other townsmen were caught up in. It was not explicitly said but the inference was made that Billy may have been gay as well. I grew up in a blue-collar neighborhood with 3 rough and tumble brothers. My father was as blue-collar as it gets. I was a dreamer the same as Billy. My family knew I was different before I did. I was the softer brother. Prone to day dreams and more interested in literature, music, science and technology than sports, hunting and fishing. My brothers did try to toughen me up a little and teach me how to fight but I just never responded well to it. As the years went by they protected me from some of the bullying I would certainly have had to endure otherwise. My brothers are still my heroes and even my protectors to this day. My two sisters have always been my protectors as well. I remember a time when my sister knew I was being chased by a bully through the halls after the final school bell rang in grade school. He was always taunting and shoving me. She waited behind the stairwell wall. I saw her as I flew down the stairs towards the exit but he did not. She stuck her foot out and tripped him sending him tumbling down the stairs. She jumped on top of him and beat him up really good, lol. He was humiliated as the other children laughed at the sight. He never bothered me again. I suppose I was always the more intellectual one of the family although all of us were intelligent and taught good behaviors by our parents. We were given opportunities to be ourselves while conforming to the golden rule. The thing my parents worried most about was how I could survive in the real world once I left home. I must admit sometimes their concerns were justified. I did finally toughen up once I was out on my own. All the lessons in defending myself my brothers had given me stayed with me and were there when I truly needed them. We are all different in many ways and similar in other ways. The story told in “Billy Elliot” was so inspiring to me. Here was this unimposing boy who wanted to dance. His father and brother were working hard in the coal mine to support the family. They expected him to join them when he was of age. The day came when their eyes were opened to Billy’s differences. It was hard to accept at first but once they saw the joy Billy felt when he was dancing they did all in their power to help him achieve success and escape the vicious cycle. If you have never seen the movie you should treat yourself. I’m certain you will not be disappointed. Most likely you will be like me and find yourself reflected by the movie in some way. By the way, the main reason I wanted to watch it again was to see Billy’s older brother “Tony” played by Jamie Draven. Jamie Draven – he’s HOT!